Wilddiary.com - Page 3 of 5 - A weblog featuring articles and tutorials on Java, Unix and related technologies. This article demonstrates printing numbers in sequence from alternating threads. This is a very popular multi-threading question asked in Java technical interviews. This tutorial shows how to read a file in Java using Scanner class. The java.util.Scanner can parse text from a variety of input sources like String, File, InputStream, System.in etc. and can break the input into tokens as per the specified delimiter. By default, it uses whitespace as the delimiter. This tutorial shows how to validate JSON against Schema in Java. 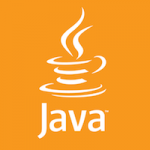 It presents a utility class – ValidationUtils.java that implements the validation logic. This tutorial uses the open source Jackson 2.x libraries and fge/json-schema-validator libraries hosted on GitHub. Copyright © Wilddiary.com All Rights Reserved.